The trivia night last week went well – much enjoyment was had by all. 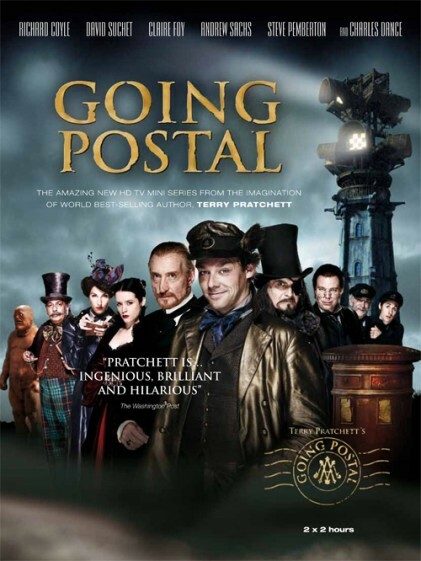 This week, we’re showing Terry Pratchett’s Going Postal, a new miniseries made by the same people who did Hogfather and the Colour of Magic, which we showed in sessions past. Then to fill the rest of the night, we’ll be showing four or five brand new episodes of Futurama, the new season which is currently being made in America. We’re still in Macauley Theatre this week, starting from 5pm – remember, it’s on level one of the Quad building, directly under the bell tower. Pizza run at 7-ish. Entry is free for members – membership $5 at the door.